Wearing cycling shorts causally is the latest trend but creating outfits can be tricky. We styled 3 outfits to pull off the trend without having to buy a bike. 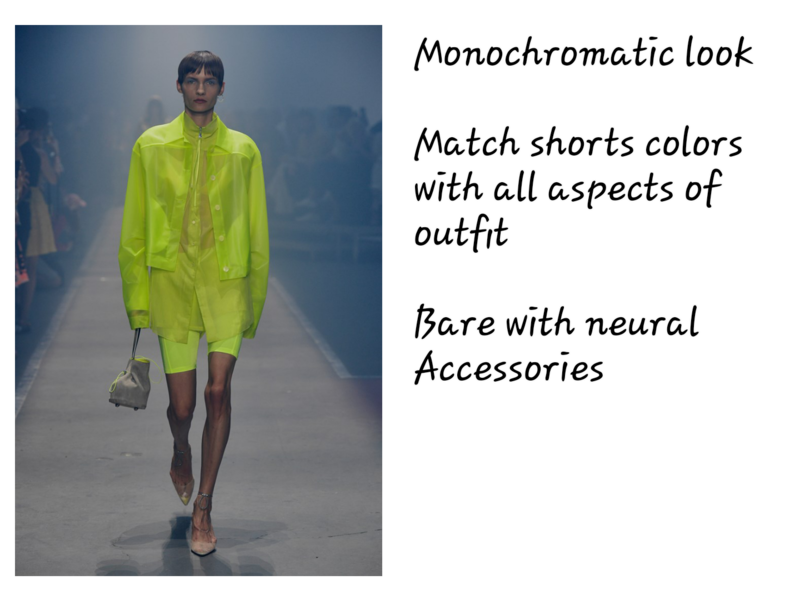 The cycling short has gone the way of causal sportswear and was seen all over the runway last year. We finally have a chance to rock the look IRL. 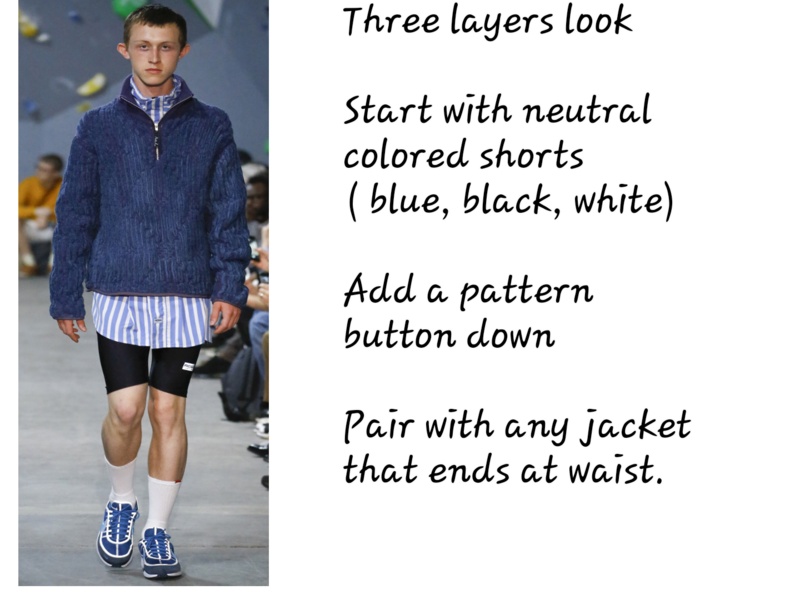 We picked these 3 looks for guys to try that seemed street friendly right off the runway. 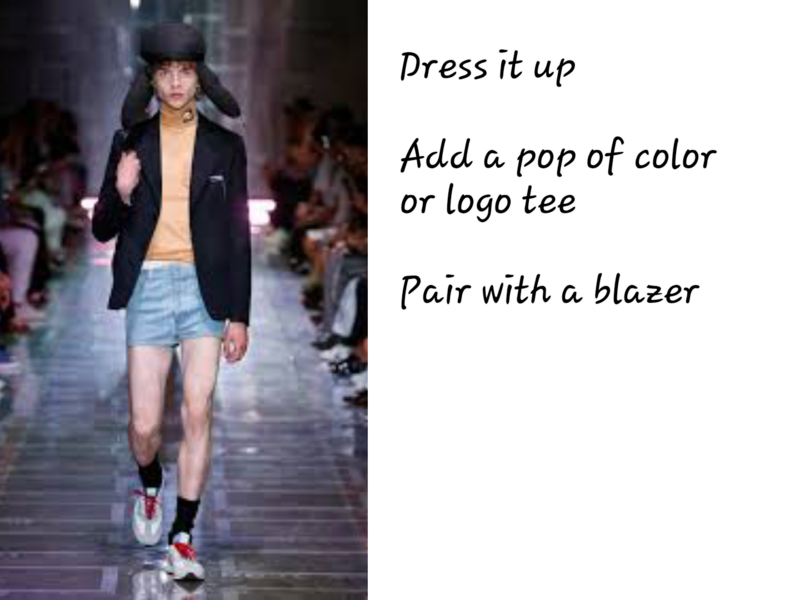 This look makes the shorts the vocal point of the outfit so pick a color that you are comfortable with wearing like red. Then match everything to it. This was a fall look so remove the heavy jacket for something lighter but still hits at the waist. We already coveted this blazer and cycle shorts look but we updated it with a logo, graphic or brightly colored tee to break up all the neutrals.